The latest batch of drilling results continue to be encouraging for Erin Ventures, as the small Vancouver-based explorer looks to plant its flag amongst a very select group of majors with a high-grade boron mine. In May, Erin completed a drill program as it moves its 100%-owned Piskanja boron project in Serbia towards feasibility, with the latest assays providing more evidence of “massive borate mineralization” at the property. Boron is used in countless products ranging from cell phone screens to space travel and everywhere in between. Because of its relative scarcity on the planet, especially in high-grade form, two companies, Rio Tinto and Turkey state-owned Eti Maden, control about 80 percent of global supply. The rest is mostly divvied-up amongst South American producers that typically provide a lower-grade product compared to Rio and Eti. As far as known reserves, Turkey is host to nearly three-quarters of boron globally, with tincal and colemanite the two most abundant boron minerals. In fact, Eti is the only supplier of colemanite worldwide, a situation that is begging for competition to arise. To the northwest of Turkey, Piskanja is producing data that suggests Erin is sitting on high-grade boron and colemanite that contains trace amounts of arsenic unlike that from the Eti Mine, a situation that could prove fruitful as exploration confirms the presence of the diverse mineral. In a resource estimate following the Canadian Institute of Mining standards, Piskanja contains an indicated mineral resource of 7.8 million tonnes averaging 31% B2O3 (boron trioxide) and an inferred resource of 3.4 million tonnes averaging 28.6% B2O3. A preliminary economic assessment (PEA) for the project forecast a 21-year mine life and gross revenue of $2.04 billion, with a net operating margin of 68.7%. The PEA is not compliant with National Instrument standards, making it a high-priority of Erin to meet NI metrics to further prove the economic feasibility and value of the project. Still, the company and Piskanja have recently captured the attention of a yet-unnamed London-based commodity investment specialist interested in making two tranches of investment capital totaling $20.14 million U.S. for the purpose of advancing Piskanja. 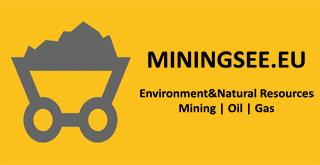 As explained by Erin management, the name of the company is being temporarily withheld as the firm is in the midst of an IPO for a large mining complex. Investors last week got the latest drill data from holes 152, 153 and 154 at Piskanja. The infill drilling was part of a 50-metre square in the central part of the deposit. Hole 152 cut of 35.9 metres averaging 30.6% B2O3 from within five known borate layers and one new mineralized interval, including an intersect 14.5 metres of 33.5% B2O3. Grades from the drill hole reached as high at 48.5% B2O3 over 1.7 meters. Hole 153 intersected five borate layers totaling 30.5 meters of 27.4% B2O3, including 17.2 metres averaging 22.8% B2O3. Again, results from shorter intervals pushed near half boron trioxide (47.3% B2O3 over 1.1 metres). Hole 154 also intersected five borate layers, totaling 17.6 metres averaging 33.7% B2O3, including an intersection of 8.8 metres averaging 35.4% B2O3, another of 7.4 metres of 39.7% B2O3, and results as high as 49.6% B2O3 over 1.3 metres. These results build upon and correlate to previous assay results from drill holes in the area also showing multiple layers of high-grade boron trioxide. If the anonymous strategic investor exercises the option and provides the cash influx (which, incidentally, totals 50% more than EV’s current market capitalization), Erin will be plenty well-financed to move Piskanja towards production, which could happen in as little as 24 months, making it only the third high-grade boron mine in the world.